No, she didn’t get an Emmy nomination. But at last weekend’s Comic-Con, and over the past few months in other pockets of niche fandom, Orphan Black star Tatiana Maslany has been treated like the second coming of Meryl. She has been the subject of more than a few stories declaring her the people’s lead actress. Patton Oswalt became her walking, talking “For Your Consideration” ad. And as she walked on to the Comic-Con stage Saturday night, an enthusiastic fan’s cry of “You deserve an Emmy!” caused the crowd to roar in approval. Maslany probably would have scored a nomination if such things were decided entirely by the degree of difficulty involved. On the stealth hit BBC America sci-fi thriller — about a tough British woman named Sarah who becomes engulfed in a conspiracy after randomly watching her doppelgänger commit suicide and then stealing the stranger’s identity — the 27-year-old actress shape-shifts into seven different characters, clones hailing from different parts of the globe, with different agendas and quirks. 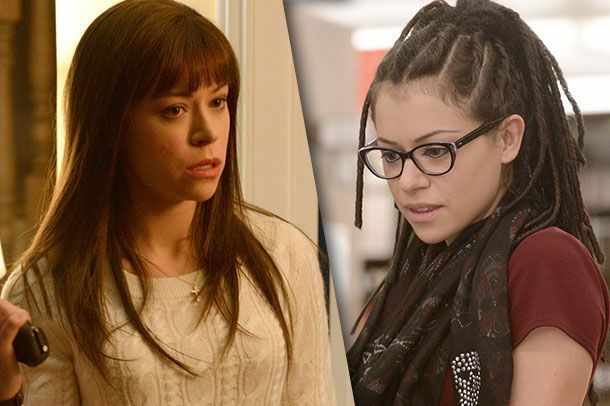 Maslany told Vulture during an interview last month at a Los Angeles coffee shop that, after production on the show’s first season wrapped, she went into seclusion. “I was exhausted,” she said. Emmy nomination or not, the actress did her own whirlwind dance around Southern California in the weeks leading up to Comic-Con, taking meetings for projects she might take on during her hiatus, reeling with the news that she’d edged out actresses Claire Danes and Julianna Margulies to win a Critics Choice Award, and logging countless media interviews. (“How many?” she asked. “Um, I don’t even know. I have no idea!”) But all the running around is easy compared to Maslany’s rigorous shooting schedule on Orphan Black; if you clocked her onscreen appearances in any one episode, it would almost certainly exceed the episode’s running time, as she’s in nearly every scene and two or more of the characters she plays on the show also frequently appear in the same scene together. Maslany shrugged off the workload. “I think being idle is quite hard for me to do,” she said. That statement helps explain her busy upbringing. At age 7, Maslany began putting on for-pay performances with her brother to entertain their parents. (“It was our art!” she laughed.) At age 9, she auditioned for theater for the first time, going for a role in the musical Oliver. During elementary school, she fell in love with improv, which she continued to perform throughout high school while also taking on series and TV movie projects; she also toured North America with a professional comedy improv troupe.